Though you may not have heard of them by name, you will certainly have seen them. They lit up the dazzling Christmas lights at Heathrow's Terminal 2. They produced spectacular galas for the ATP Tennis Finals and for the BAFTAs. 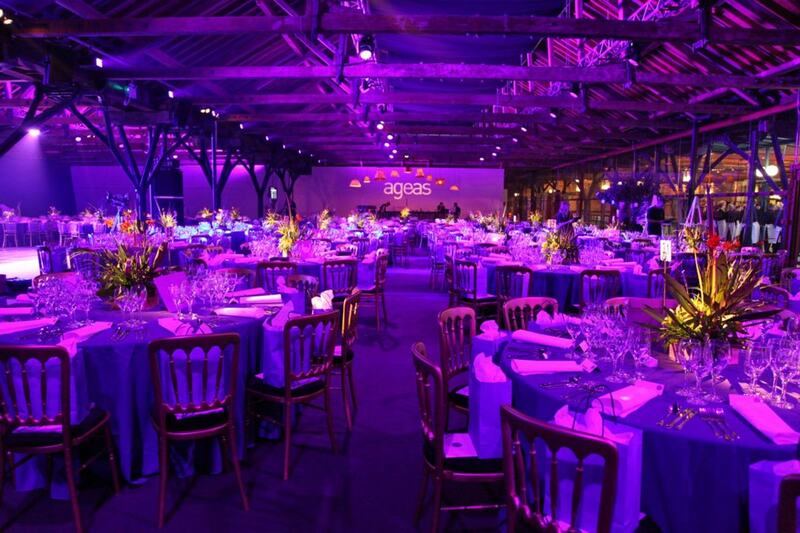 And some of their best production work – including lighting, staging, design, technical work and more – has been done at some of our favourite London venues. And each of them is another reason why the experienced and talented team at Fisher Productions will make your event stand out. So here's a tale of 3 Fisher Productions. Or, in other words, 3 reasons we love them. 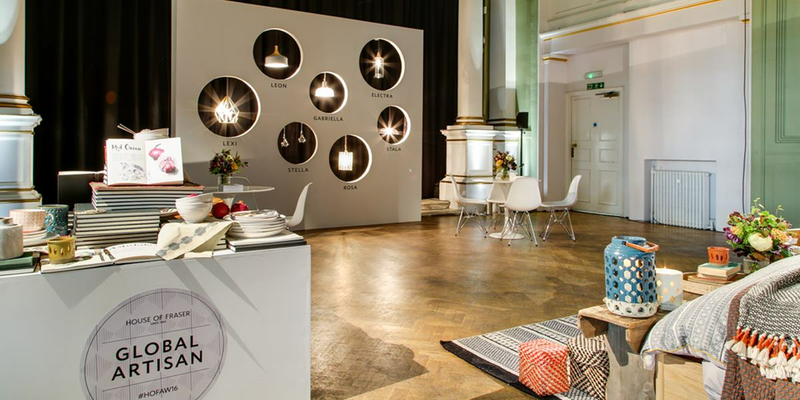 House of Fraser showcased its Autumn collection in a special and memorable way, at the beautiful One Marylebone, a Grade-I listed former church with expansive space for exhibiting products. Fisher was tasked with theming and designing the event: the team went with a circle concept, which continued across the venue, down to the minutest details. Fisher designed the individual room sets, stands and plinths on which the latest in fashion was displayed. All the while, the team ensured that branding was a priority. A nice and practical touch came in the form of the dedicated "selfie spots" for maximum Instagrammability. This was Age UK's third annual Vitality Ball, making for a tough two acts to follow. What's more: it was to be attended by high-profile guests, celebrities and partners of the charity. Of course, the Fisher team pulled off a successful production at the huge Tobacco Dock – a former warehouse with 70 spaces, where the biggest area offers a massive 16,000 square feet of space. Fisher ran a Cuban theme at the Dock, adorning the venue with distressed leather sofas, golden palm trees, an 18-foot rustic bar, and generally all things Latin. Staging and lighting was also part of the exemplary work done by Fisher. This would be the 11th year that Fisher undertook production of the bars, food stations and courtyard at the annual Royal Academy Summer Exhibition Preview Party. 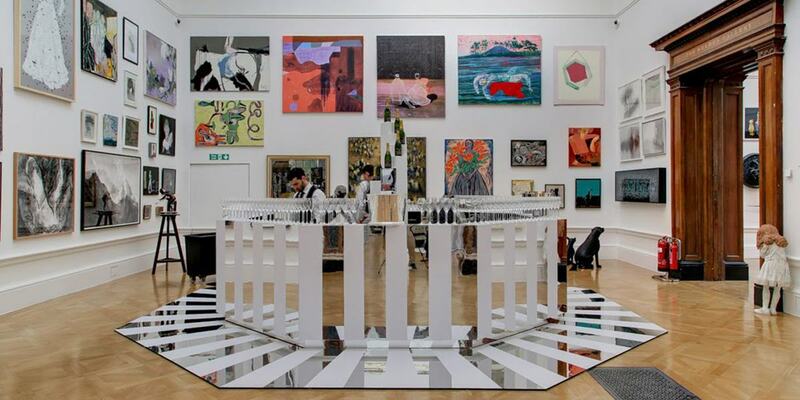 The annual event is a major fundraiser for the Royal Academy and marks the start of their Summer Exhibition. The talented team at Fisher took creative charge, a tough task at an establishment known for its artistic innovation, of course. But they pulled the feat off easily, taking a complex geometrical theme across the décor. This meant designs incorporating symmetry and reflection, and patterns and stripes. Meanwhile, in the courtyard sat a 5-metre, 3D 'RA' installation to welcome guests to the summer party. And inside waited a number of food stalls that were designed to imitate apparitions, appearing only after you turn the corner – like a sort of delicious hall of mirrors. If you'd like to read more about Fisher Productions and make an enquiry for your event, click here. To browse more of our great venues, click here.